If you're new to the James Hunter Six, you're in for a treat this Saturday. The group is perhaps England's best-kept secret here in the South, though they're Grammy nominees whose last record was with the venerable U.S.-based Daptone Records. Like most Daptone acts, Hunter's group has learned the lessons of classic soul well, with a taut, groovy sound anchored in '60's R&B that matches the wry wit of his lyrics and heartfelt catch in his voice. Memphis Flyer: I reckon everyone in the band is quite a soul fan. James Hunter: It's really a mixed lot. Their tastes are very eclectic. Each one of us is into different stuff. It kind of helps that each one brings his own vibe to the music. It stops it from getting too purist and train-spottery. You know? It can sometimes turn into a stuffed museum piece. It's meant to be music that's alive and evolving. When people start trying to maintain daft notions of purity and all that, it turns into something like the heritage industry. You kill something and stuff it in order to preserve it. I've never gone along with that. Have you ever felt in danger of doing that? No, we've always been shy of that kind of thing. That's why we're always quite shy of terms like "retro" or "authenticity" and that kind of stuff. It's not even genre bound. We just call it music, really. If we have to put it under a label, we call it soul, but that's just for convenience really. As Peter Cook once said, "The Americans have their soul singers, and we English have our-soul singers [laughing]." (Note: this sounds hilarious if one knows about arses). Yeah, it's a bit of a tradition for us British to come empty your dustbin and present the contents back to you. It's rather fitting you were "discovered" by Van Morrison. Yeah! I remember the day. He said, "Oh, there you are!" Is that an ongoing collaboration? It was ongoing, but then it stopped! He had this Blues and Soul Revue that I was in. So I met people like Junior Wells through him. ... You know Junior Wells, he's a bit out of your area. He's one of them Northerners, isn't he? I don't suppose you talk to those Northern Herberts, do you? Well, I'm from Nebraska myself. Don't worry, we can still be friends. I'm from Colchester; that's nothing to boast about. Right, right, the one-time capital. It was! When it was still the Roman Empire. We still have the Roman influence. I mean, Christianity never took on in Colchester. But to our credit, we stopped throwing Christians to the lions in about 1948. Well, it was the cruelty to animals people that put a stop to that. So who are some of your earliest heroes who inspired you to play? The 5 Royales and Johnny Guitar Watson, people like that. Lou Johnson. And as far as writers go, it was Leiber and Stoller, Smokey Robinson, Allen Toussaint. All the people who were really literary. Because you know, Ray Charles and James Brown wrote their own stuff, but you wouldn't really call them writers in a literary sense. Whereas people like Sam Cooke were. Ray Charles and James Brown just wrote when they made a record. They were almost more producers, weren't they? Speaking of Ray Charles, your lyrical approach and R&B feel reminds me of Percy Mayfield, who wrote for Charles. Are you familiar with his stuff? "Life Is Suicide" and things like that. I suppose I have more kinship with him. I mean the sweetness of Smokey Robinson kind of eludes me, as it were. As much as I admire it, I can't duplicate it, but I'm much more ... if you want a slightly more sour vision, I guess that'd be me. 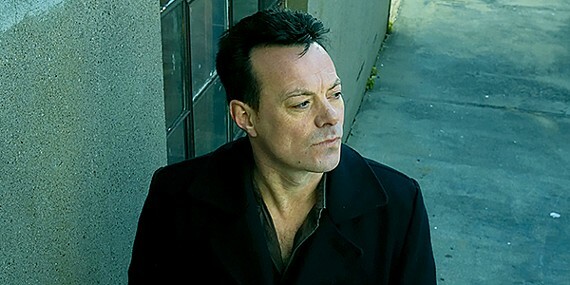 The James Hunter Six play the Buckman Performing Arts Center on Saturday, October 14th, at 8 p.m.